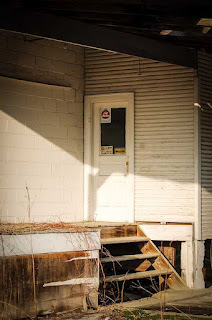 I don't know what it is about abandoned buildings that holds interest for some people(including me). Is it something about our imaginations and letting the thoughts go wild and wondering what it would have been like with the hustle and bustle of people? Perhaps the nostalgia of a by gone era. I'm sure it is a personal reason and perhaps different for everyone. 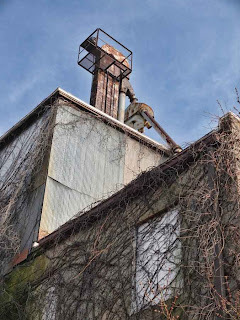 I stumbled across the old Blacklick Feed Mill purely by accident. Sometimes when the weather is nice and I have cleared my busy schedule, I just hop in the car and start driving around. The family and I also Geocache and we happened to find a cache located near this site. 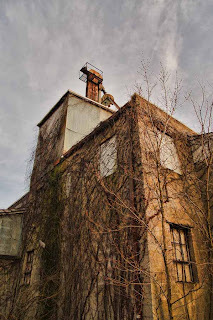 When I saw the building, I knew that I wanted to return to get some images of it later. 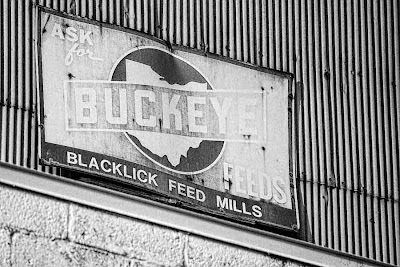 Upon first look, it appears that the building might be used for storage and as far as I can tell from internet searches, Blacklick Feed Mill, Inc is still an active company. I just want to state now the following. This is someones property. Please respect that private property. If you do go and visit the building, please do not deface it, try to break in and go inside. There are plenty of interesting images that can be taken from the outside perimeter of the building. Also, there is an active set of train tracks right behind the building as well. Please be very careful!! 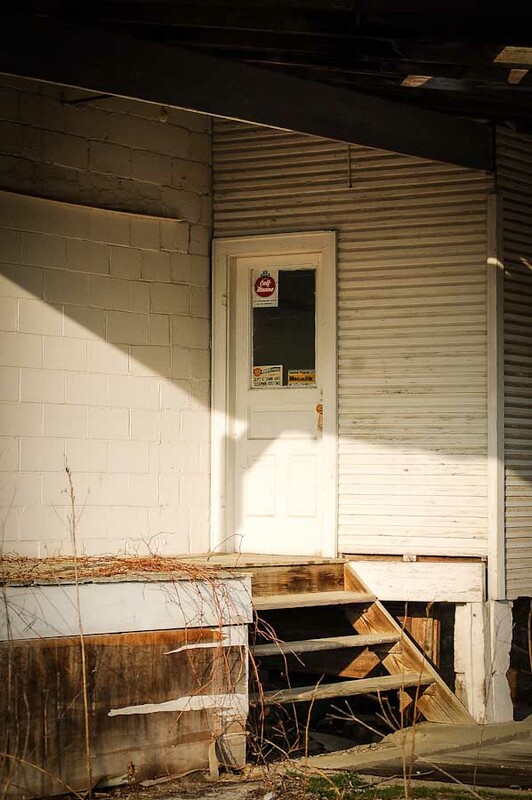 It looks like the building was built sometime in the mid to late 1970's. There are several old signs still attached to the outside front. 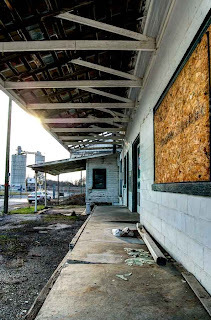 I'm not sure when it closed down operations, but you can see some of the toll that weather has taken. You can also see some of the effects of other natural phenomenon on it as well. Trees and vine like plants have started growing up the side of the building. 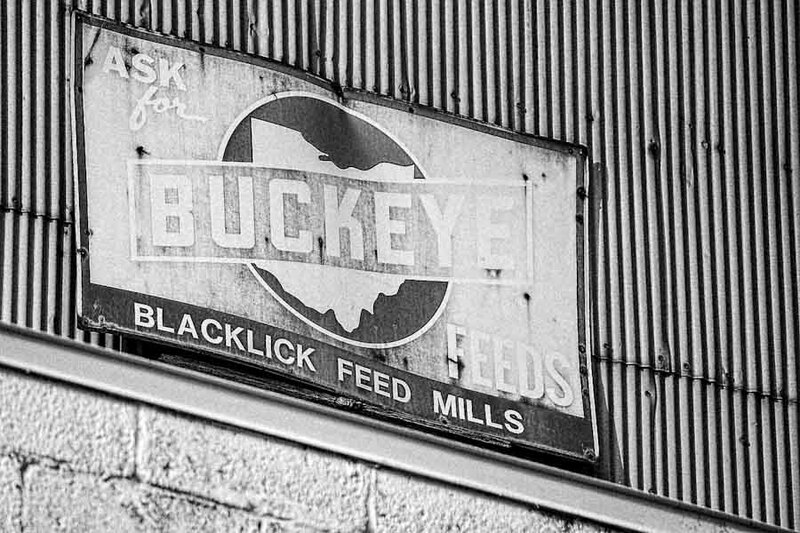 I used to buy all of my pet food at the Blacklick Mill. 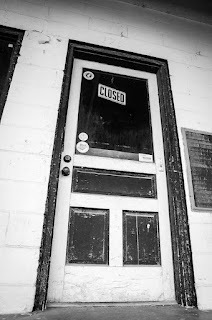 I couldn't tell you exactly when it closed. 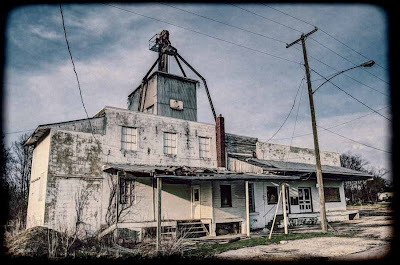 It was certainly open all through the 1980s and into the 1990s before the big box competition and the expansion of the city destroyed the market for true feed stores. You have to go a lot farther out these days to find them. Even before I used the Blacklick Mill, I used the one in New Albany, now also gone.